This stunning Personalised Wild Flowers Canvas will brighten up any home, and sure to be a talking point when visitors call. 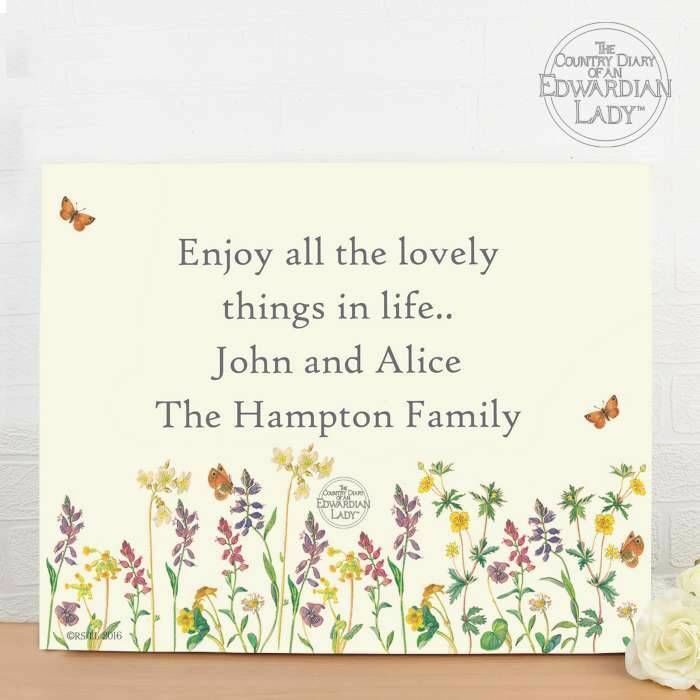 This canvas wall art is so pretty with an abundance of wild flowers and delicate butterflies adorning the canvas, the background is a soft cream colour. 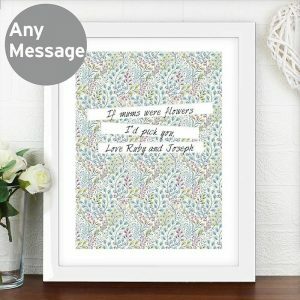 Measuring 31 x 41 x 3.8 cm it really will adorn any wall in the home with grace. 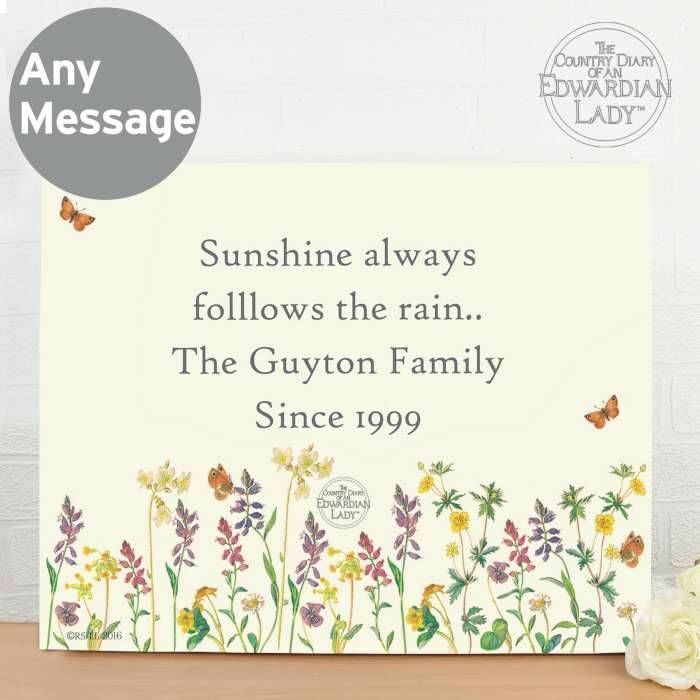 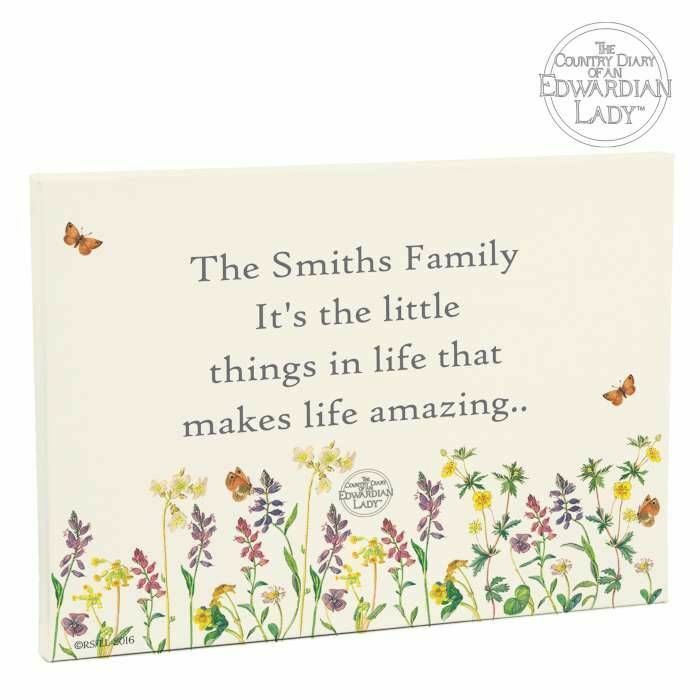 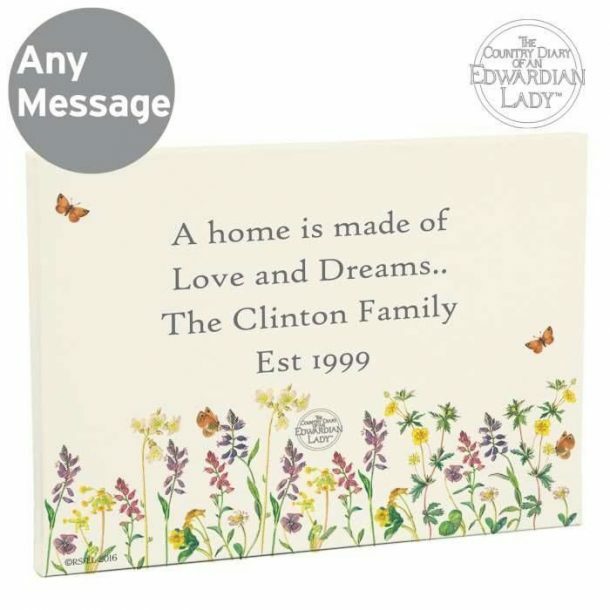 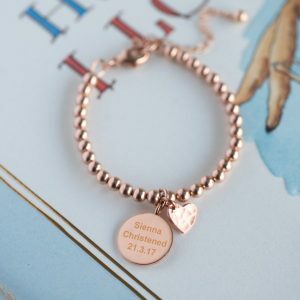 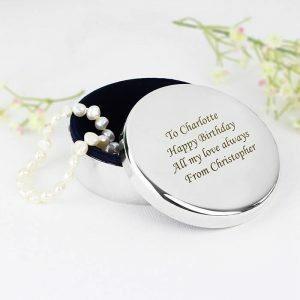 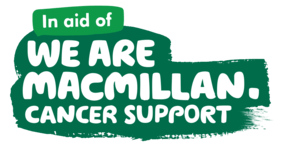 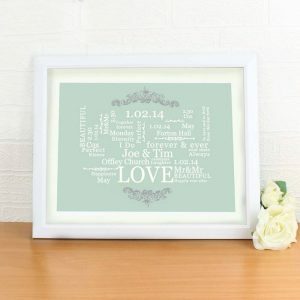 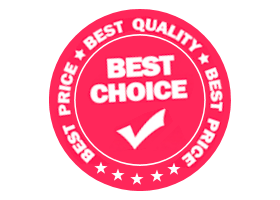 Above the main design a message may be added and for this we allow 80 characters over 4 lines of text, a piece of wall art that can be adapted for any occasion, and a perfect keepsake they will treasure from you.